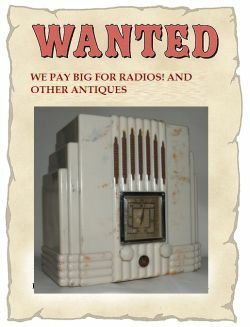 From time to time we have items that we're looking for. 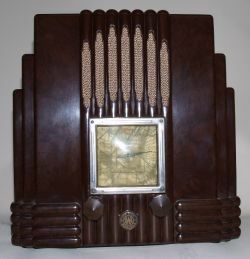 I'm always interested in old radios, working or not, as well as art-deco lighting and microphones. If you know of garage sales, deceased estate sales, clearances or anywhere there are items that we have on our site available, we'd love to come and have a look. We pay good money for all items.